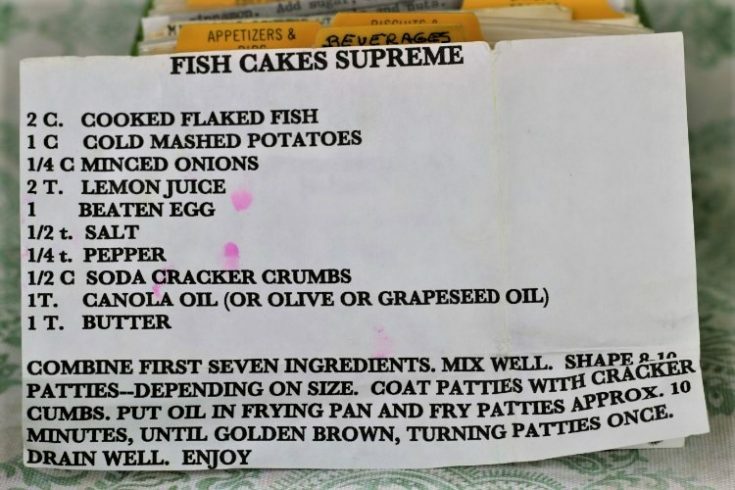 Front of the recipe card for Fish Cakes Supreme. There are lots of fun recipes to read in the box this recipe for Fish Cakes Supreme was with. Use the links below to view other recipes similar to this Fish Cakes Supreme recipe. 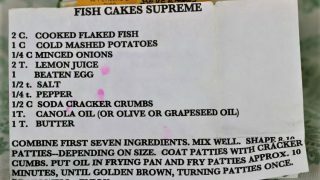 If you make this Fish Cakes Supreme recipe, please share your photos and comments below! Shape 8-10 patties--depending on size. Coat patties with cracker crumbs. Put oil in frying pan and fry patties approx. 10 minutes, until golden brown, turning patties once.